We are pleased to offer 11 years experience and provide a service that is prompt, professional and reliable. Brisbane Professional Appliance Repairs is an honest family run business that cares about their clients, we make it our goal to provide a cost effective solution to you repair needs. I have had Mark out recently, to repair my Smeg oven and Miele dishwasher. He did a great job. He was professional, thorough, and knowledgeable. He not only fixed my appliances but explained what and why it wasn’t working. 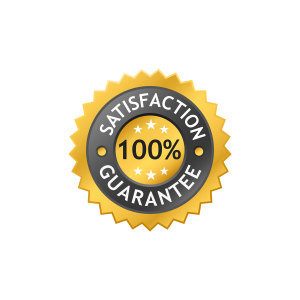 I happily and highly recommend Mark to repair your appliances and can confidently say that he certainly knows what to do, and will do a good job. I recently had the pleasure of finding Brisbane Professional Appliance Repairs when my washing machine decided to break down with washing inside. I wash daily and with four children I need my washing machine, I rang and spoke to Mark who understood my need for a prompt visit even though it was very late in the afternoon. He arrived within an hour and fixed my washing machine averting my washing piling up for the next few days. I was impressed with his prompt, professional and friendly nature and willingness to provide a service at times when others do not, I was happy to not have to wait the usual few days like I have done before. I will certainly be using this business again if I have any other domestic disasters. Thanks Mark! I don’t usually like to write testimonials but I have made an exception because I think Brisbane Professional Appliance Services deserves praise for their excellent customer service and impeccable work. I rang them with the expectation of having to wait a couple of days when my oven stopped working and the thought of not being able to cook dinner for a couple of days was not appealing. I was very surprised when Mark said he would be able to come and look at it within two hours and he arrived as promised. He quickly located the problem and was able to fix it on the spot. The job was affordable and I could not fault his work and the fact that he was able to provide the service so quickly was a bonus. I have recommended this business to my friends and would not hesitate in contacting them again if I needed to, well done on a great job. Thanks so much my wife is so happy the washing machine is back in action, i will be using your services again.